Sorrrryyy this is yet another post that just took waaaay too long! 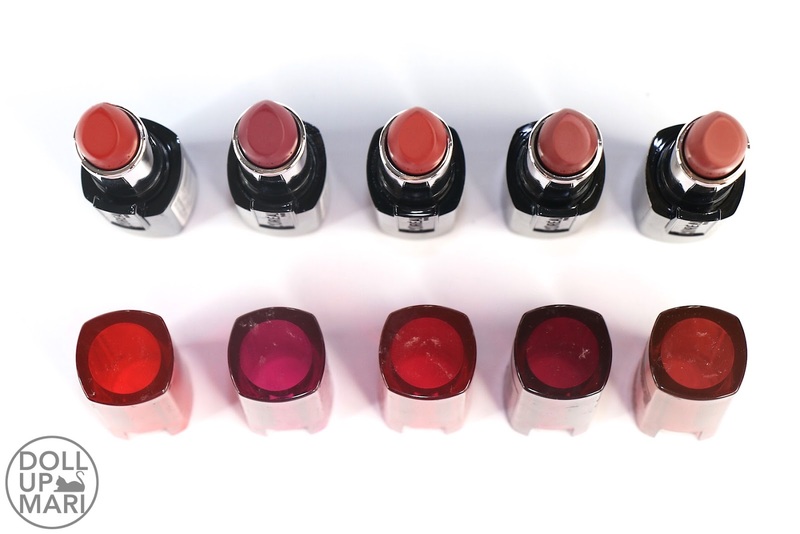 These are 5 out of the 20 shades available for L'Oréal's Infallible 10HR lipsticks. I'm glad that there are so many other shades to choose from because I'll be honest that while these five shades are very pretty, these aren't the shades I typically wear (aka one of these are light pink hahaha). I was delighted to visit a L'Oréal counter and to discover for myself that this collection indeed harnesses plenty of shades that I like. The quality of this lipstick is unique and worth paying attention to so I'm glad there's a shade for every kind of personality! 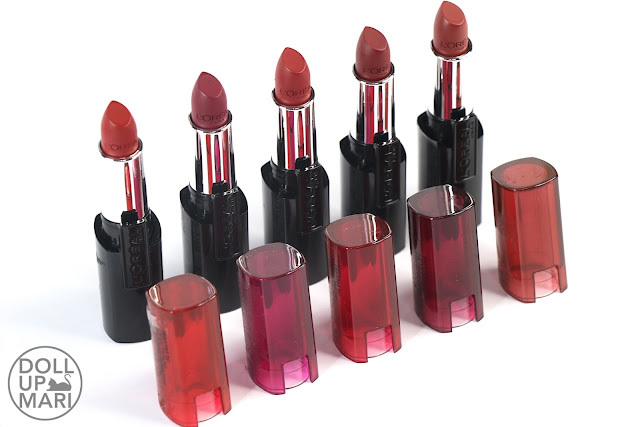 I am guessing that these give really vampy shades were chosen for the press in order to be able to concretely demonstrate the longevity of these lipsticks. Nonetheless, let's get started with the review! Shade Selection: These are only 5 out of 20 shades, so this really is just a slice off the cake. I love going to the counters because there are plenty of pinks and nudes in the 15 other shades. 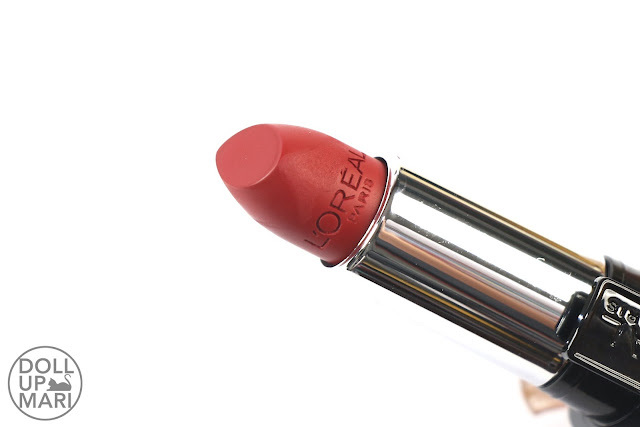 Color Payoff: Looking at the lipsticks, it sometimes feels like they all look the same. 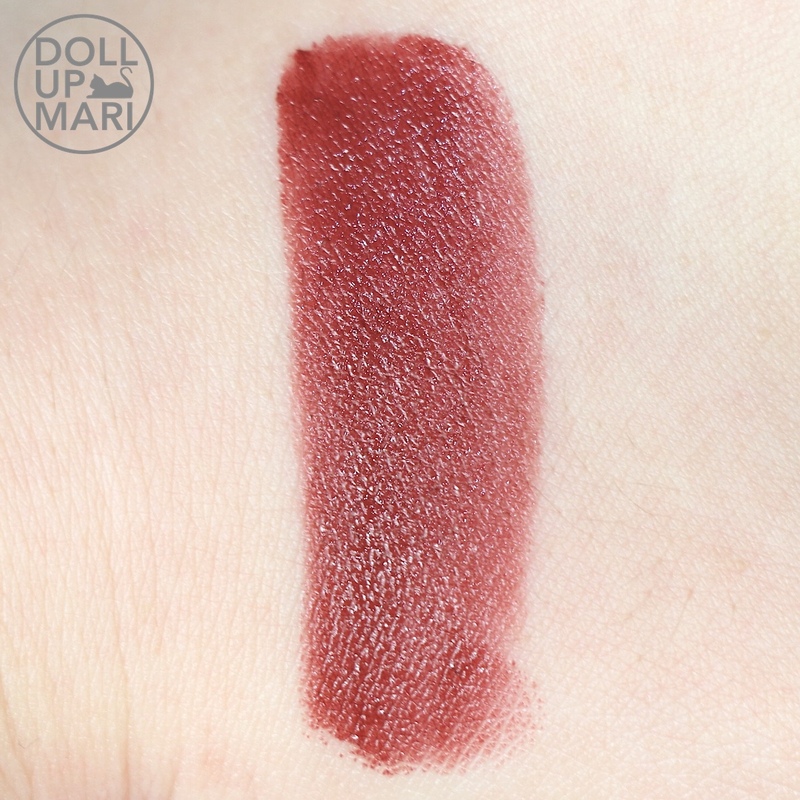 But when you do swatch these, the shades apply well enough for you to discern one shade from another shade, despite some of the shades being close to each other. The shades apply vividly and beautifully. 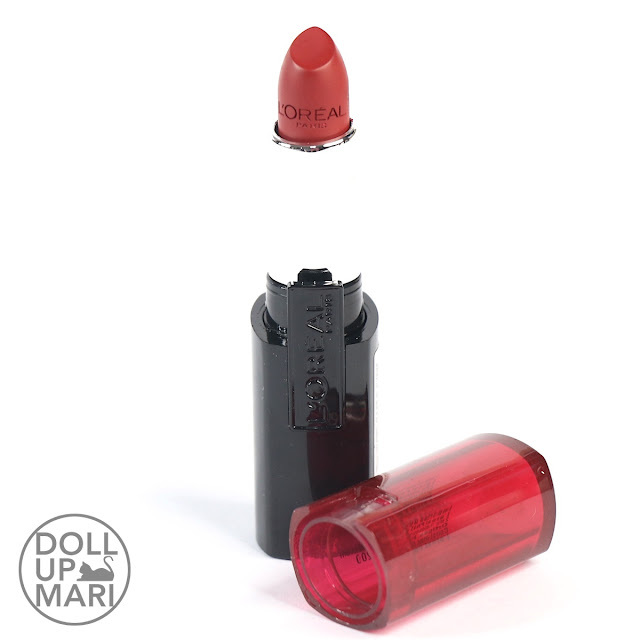 Pigmentation: These lipsticks apply so intensely and opaquely that you barely even have to try to get a good application. One swipe is enough to get it at 100% opaqueness, if not very close to that level. 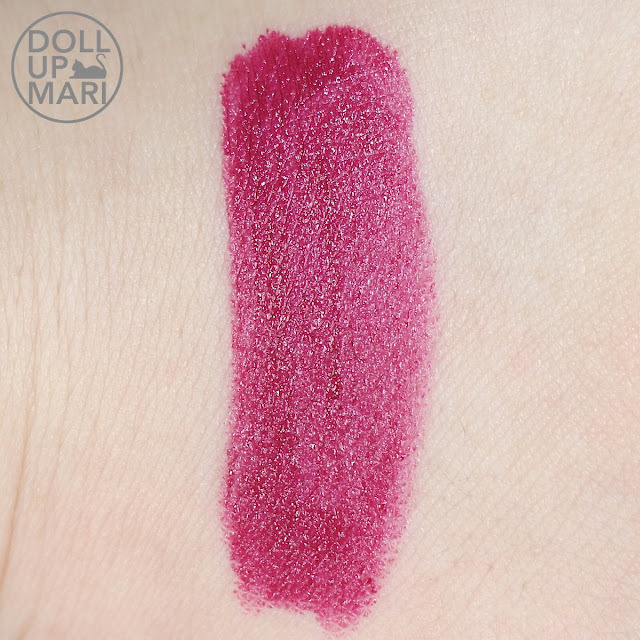 I am blown away by the pigmentation of this collection because I thought their Color Riche lipsticks were already crazy pigmented. 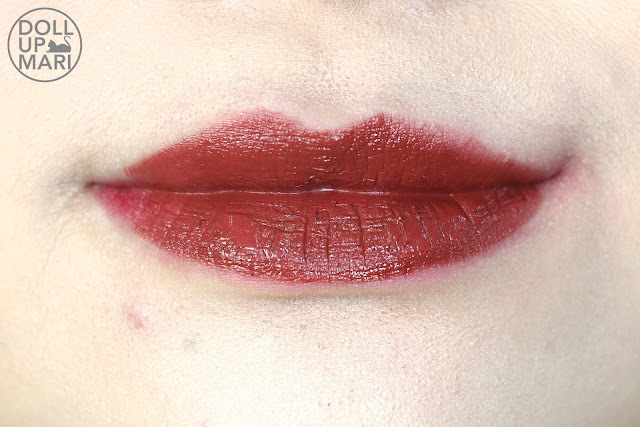 These are even crazier in the pigmentation department. Texture: The most unique thing about these lipsticks is the texture! I swear this is more or less the only collection that I've encountered that behaves like this. 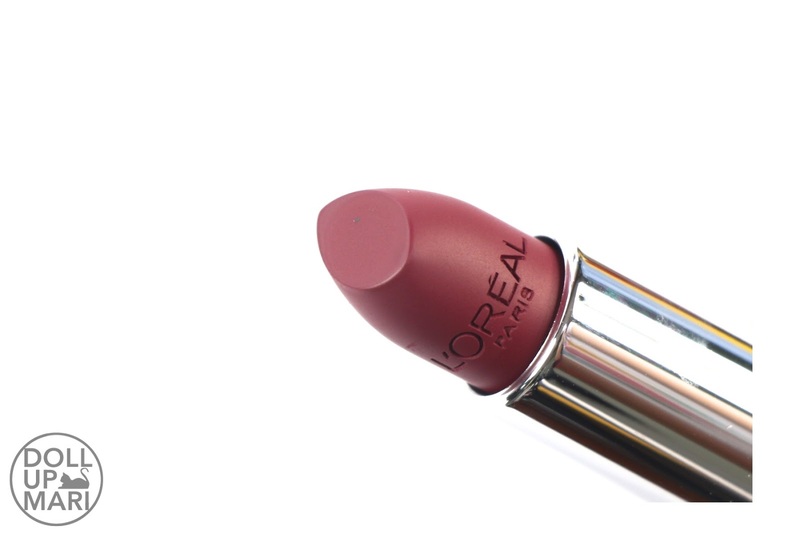 The best way I can describe this is that this is like liquid lipstick in solid form. This basically applies in a really smooth and creamy manner, akin to a melting balm or lip balm. There are no skids as it's really velvet smooth and lightweight. 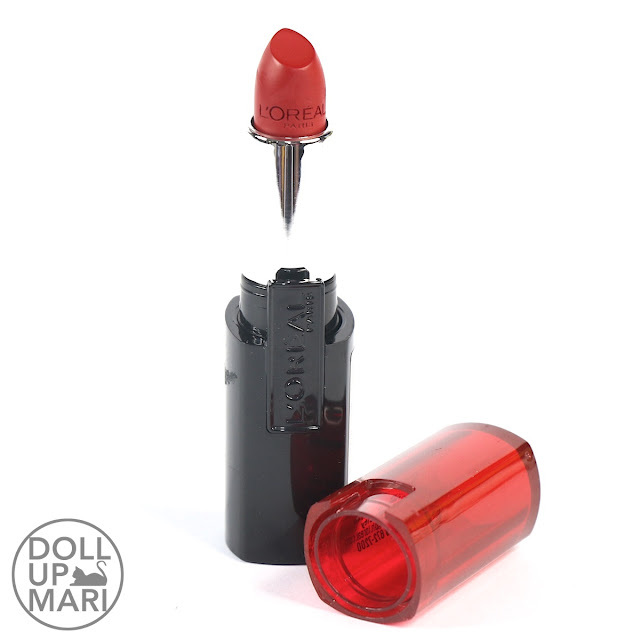 But when you leave it on, it starts to set like a liquid lipstick and starts to become a little sticky and tacky. As it sets, the less and less it moves, unlike when it's freshly applied. 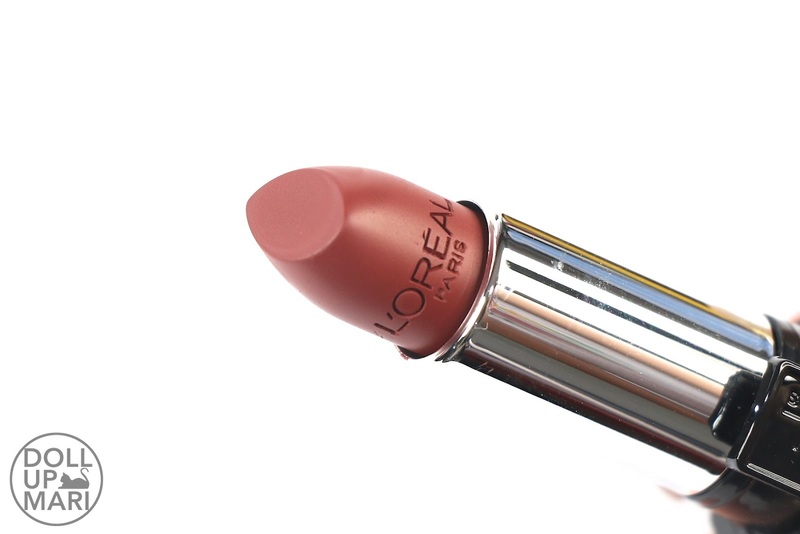 It doesn't end up to the cement like feeling we sort of expect from liquid lipsticks. It stays in that quasi drying state and feels a little sticky for the whole time it's there. 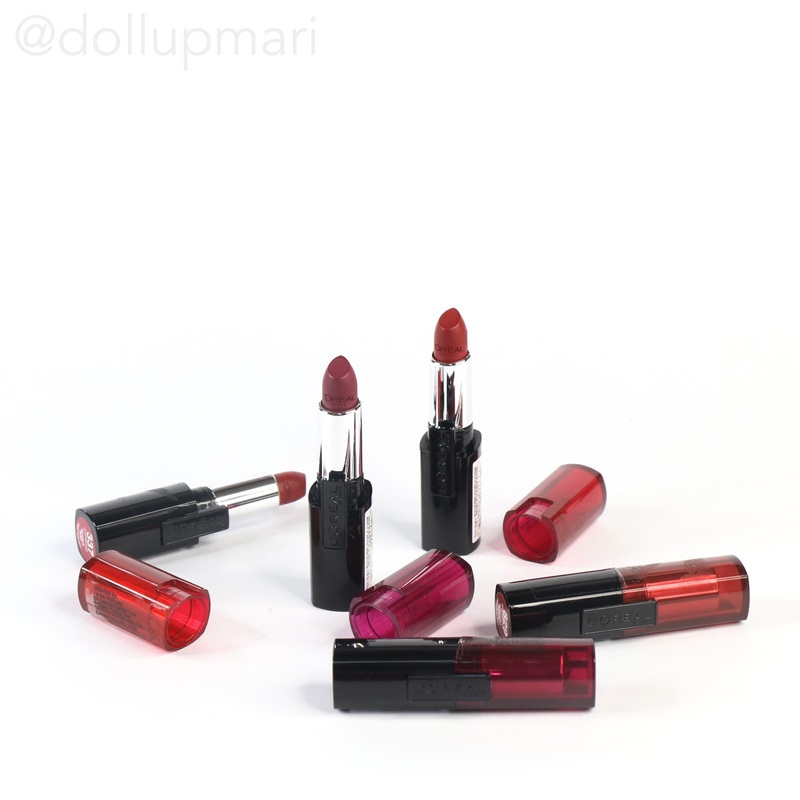 Comfort: These lipsticks may or may not be the most comfortable offering out there, depending on your priorities. If you're looking for the vividness and pigmentation of a liquid lipstick without the cement like feeling, and if you're used to the sticky feel that comes with the product setting, then this should be OK. If you're also looking for something long lasting but not drying, you will really like this as well. But if you're the type of person who likes to smack your lips all day, then maybe the slightly tacky feel may bother you. To be fair, this never feels heavy at any point (depite its level of pigmentation), so that's one thing to be thankful for. Longevity: These behave in a very unique manner! Initially, I did not believe the whole 10HR and food proof claims as these would immediately melt off of my head the moment I ate something. Until I had an experience! I once tried this lipstick at a L'Oréal counter, and then while I was browsing, I saw one of my best friends doing retail checks. I was so happy to see him that we ended up chatting for like 40 minutes. After our chat, I went to eat lunch with my mom. 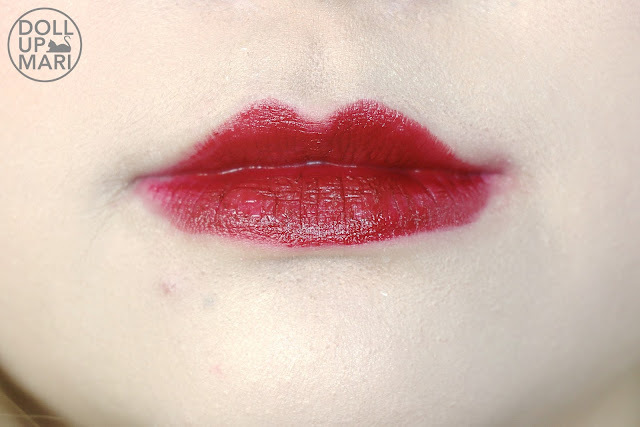 Lo and behold, the lipstick stayed put as it should! And despite everything that I ate throughout the day, I could still see the product going strong even after 8 hours. The only reason why I didn't see it reach the 10 hour mark was because I was tired and wanted to take my makeup off already. But given that it stayed put no matter what, I knew it really could last. 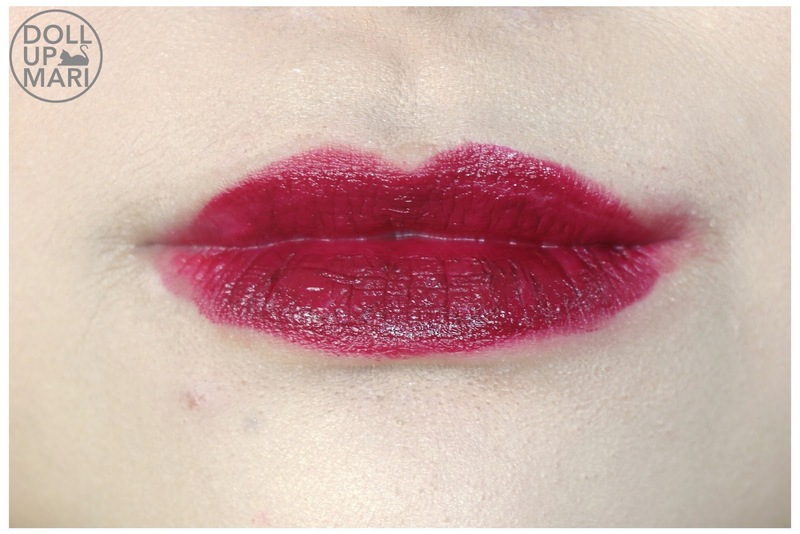 So apparently, this is an extremely long lasting lipstick, but just needs a good 30-45 minutes of setting time for it to be infallible. In terms of food proof, this is not necessarily 100% food proof, but I'd say that compared to other lipsticks, this fares better. 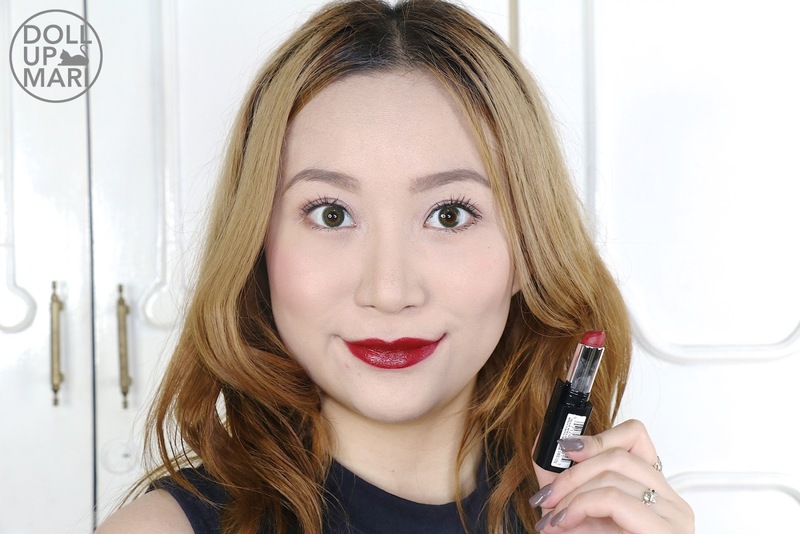 This doesn't wear off as easily as how other lipsticks would when faced with very oily dishes. I actually just had oily tapa as I write this, and while my lips don't feel so tacky anymore due to the oil, my lips still look crazy red (I used 337). 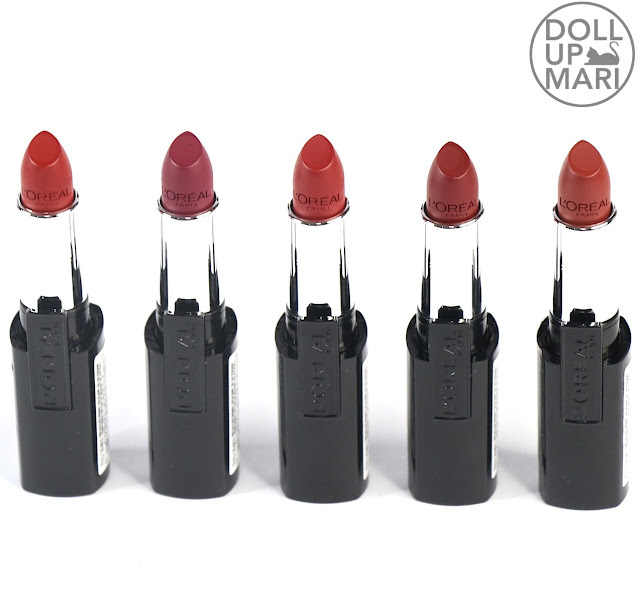 Value For Money: Each lipstick, for me, is worth it at Php500 because this really does last immensely well with the proper setting time. However, plenty of you guys (my beloved readers) felt that this is too expensive, so I also have to give weight to your thoughts. I also get y'all given that there are many other drugstore brands also churning out relatively good products at lower prices. I feel that the Php500 is justified if you'll buy a shade you really really like because if you're all about the color intensity, you'll feel that it's a good spend. 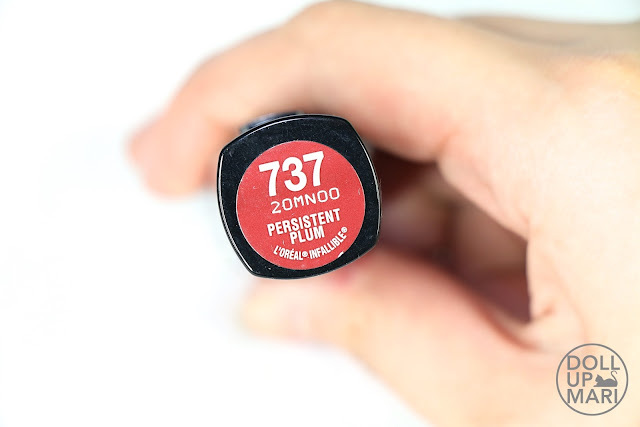 This also lasts so well and is so low maintenance that if you like a shade a lot, you'd not need to use plenty of other lipsticks to retouch throughout the day anymore. Overall Feedback: I personally find this to be a very unique formulation that is more or less the sweet spot of the interests of different stakeholders (wow lalim hehe). 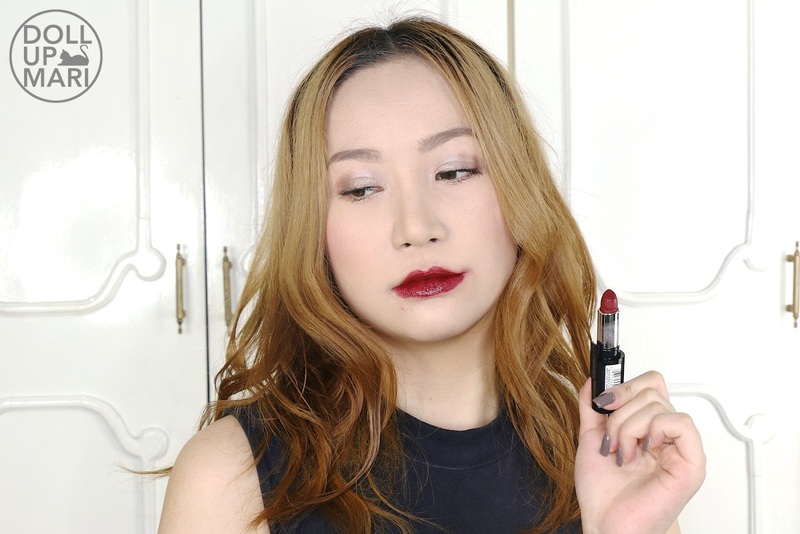 There are people who like their lipsticks flat matte, those who want it comfortable, those who want it to be crazy pigmented, and those who want it to last all day. This is the best compromise that takes all those four concerns into consideration all at the same time, and somehow still is humanely priced. 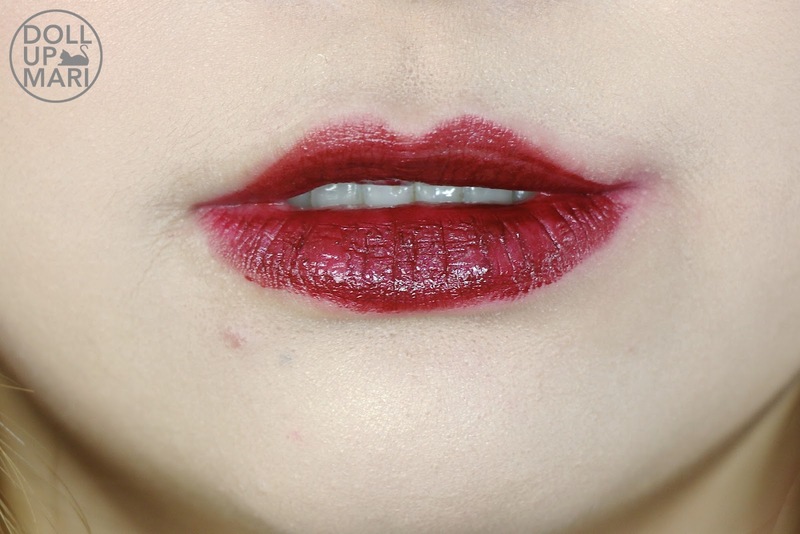 It's not impossible to find lipsticks that have similar features, but they would often be priced waaay higher than these. 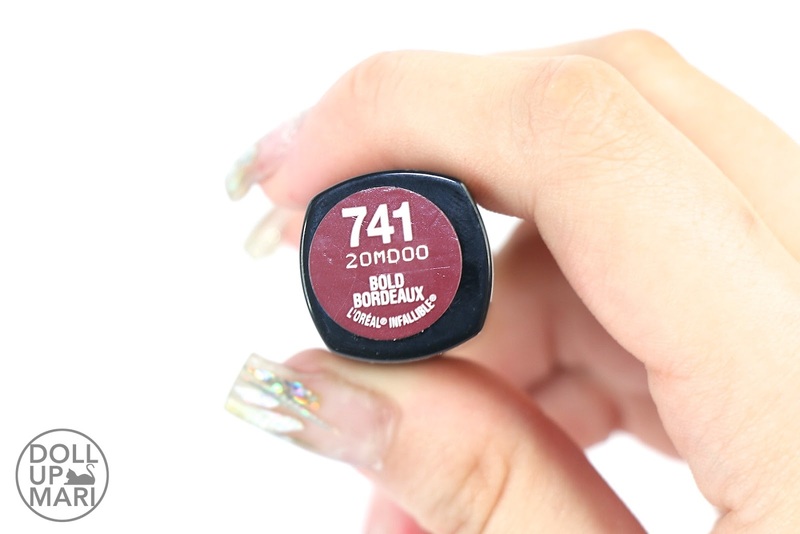 But, I also still think that this is so far the only solid liquid lipstick hybrid formula I've ever seen in the world, so the hype is justified. Okaaaay now that that's done, let's get on to the shades and the packaging and stuff hehehe.The lipsticks are housed in these translucent colored covers. The packaging feels sleek and posh, though in real life, without ample lighting, covers of similar shades may not be so apparent. 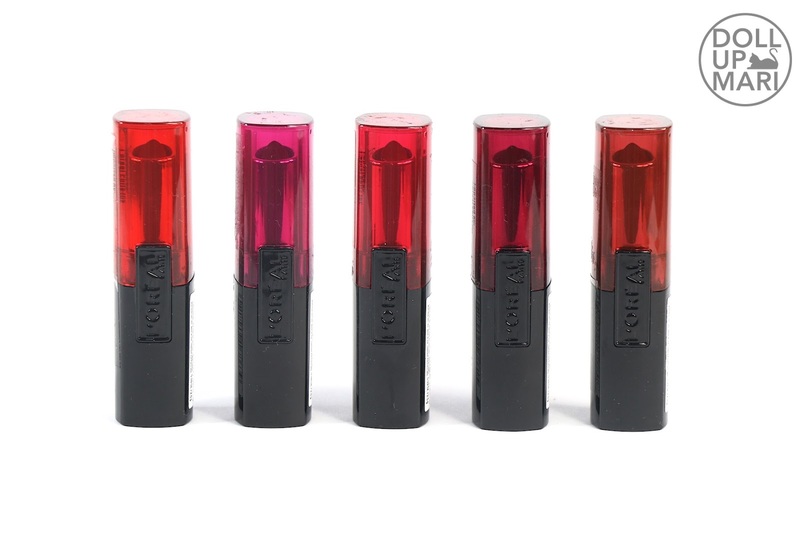 It was a pleasure to just be staring at them because the lipsticks themselves look so legit! 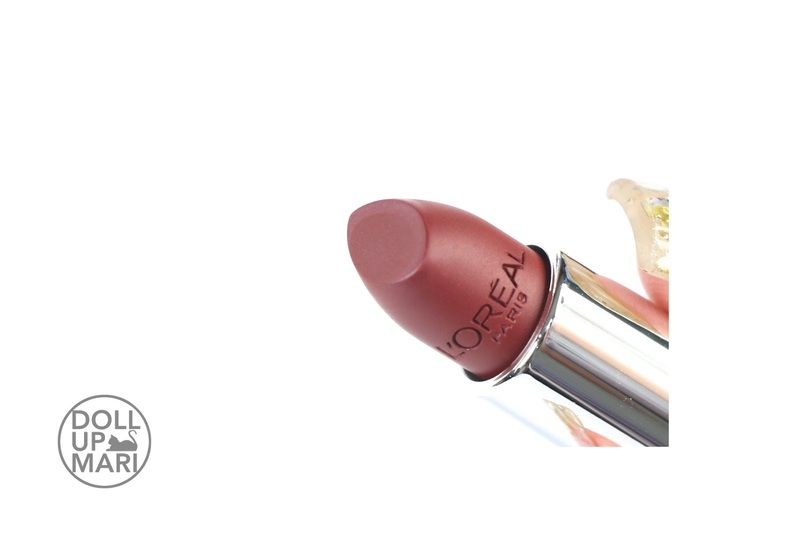 I felt that the embossed L'Oréal logo makes it all so tasteful. This has really tasteful packaging that I just can't help but to stare hahaha. The only catch is that the colored lids mean that I have to take note of which lid goes to which lipstick. 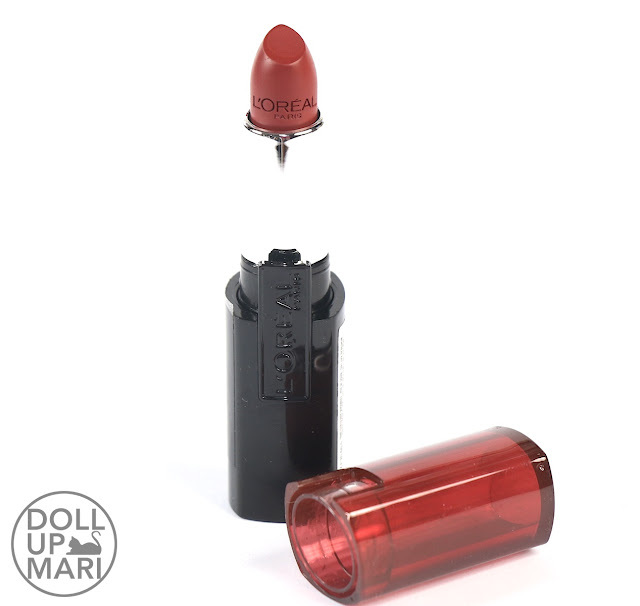 It requires some thought process compared to their Color Riche lipsticks wherein the color buttons are not on the lids but are on the lipsticks' bodies. But well that's just a minor thing. Okaaay so let's get down to each shade!!! 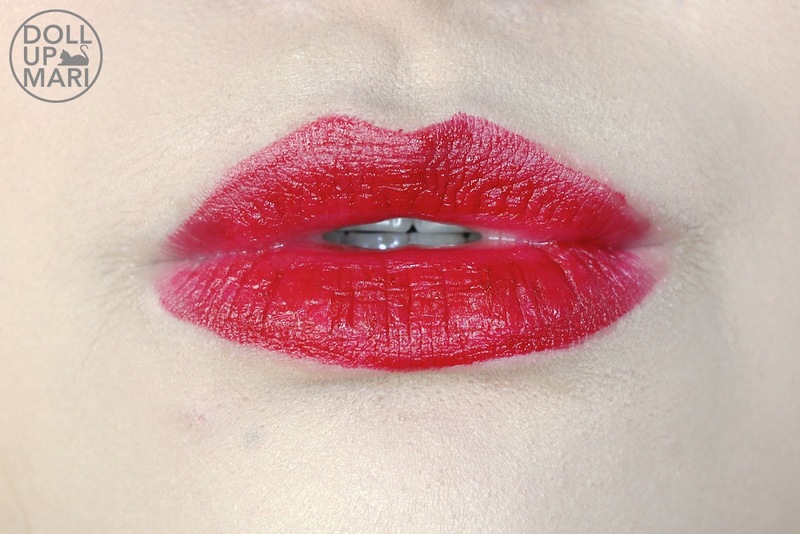 This is an extremely beautiful and intense blue based red. This will give you Snow White feels because of how sophisticated it is. 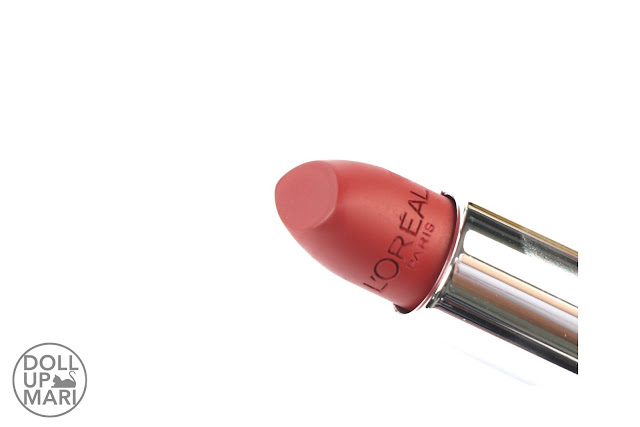 This is a good shade for those who want to create an illusion of lighter skin. This is a deep vampy take on fuchsia. This is somehow still a lively plummy color. This is what I'd call a deep reddish mahogany. This will suit deep skintones very well. This is what I'd call a brownish wine shade. Or like wine, but perhaps mixed with a little black. This is what I'd characterize as a true mahogany. As you can see, it was not easy for me to be serious in all these headshots hahaha. These all happened to be very intense and vampy shades. For me, 337 takes the cake and is an absolute favorite! For the rest, I see myself mixing these browns with my pinks from the Color Riche collection so I can achieve beautiful mauve shades. So yaaay that's it for this review!!! So excited because there are more Infallible items coming to the Philippines soon!!! lakas maka WOMAN ng mga shades ah...tingkad po ng mga kulay sa labi madam..bagay po sainyo madam ung Persistent Plum, un ung pinaka ngblend tlga sa kulay po ng balat mo..maganda po lahat.. 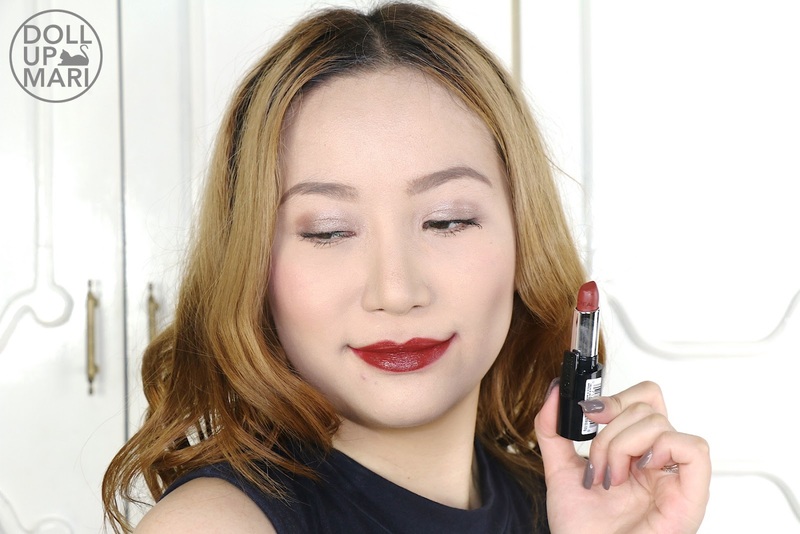 Bet na bet at pak na pak ang shade ng mga lippies. Lakas nakamature kapag ginamit. Hehe. I wonder lang kung babagay sa akin ang ganyang shades. 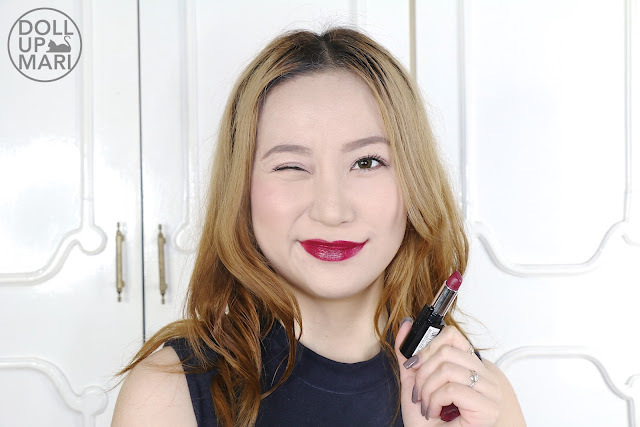 Mostly kasi, pinkish lippies ang ginagamit ko. Soon to be a college student, i would want to try this because for sure magiging hectic na ang schedule ko. ��. I'm hlad i saw this post, di ko na kailangang magretouch lagi because of this!! Thank you so much! Abangan ko po next helpful post mo! Thank you po ulit! 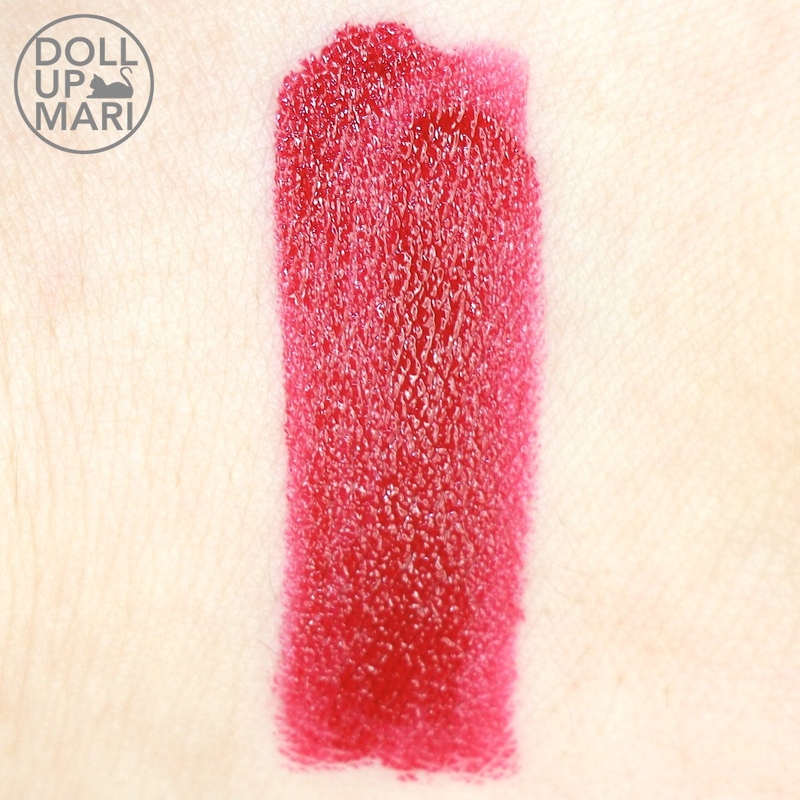 Maganda sila lahat pero Refined Ruby din ang pinaka- bet ko sa lahat ng swatches. Parang every quarter or every two months may bagong line na nilalabas ni Loreal na lippies. At laging andami ng shades to choose from. Wanna try Bold Bordeaux soon.